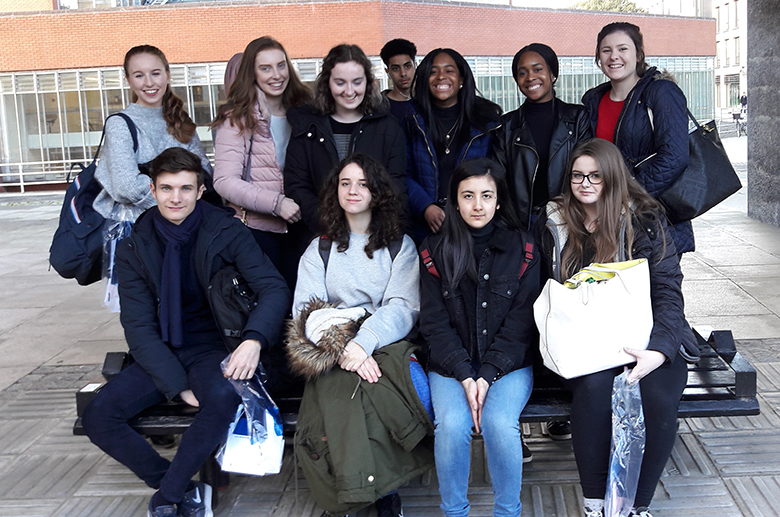 Modern Foreign Language students at The Sixth Form College, Solihull visited the University of Cambridge for a Modern and Medieval Languages and Linguistics Open Day last week. A group of 12 first Year A level students attended a range of talks at the event, including studying languages at Cambridge, opportunities for a year abroad, learning a language from scratch and studying linguistics. The students were all studying at least one of the four A level subjects on offer at the College: French, German, Russian or Spanish. A highlight of the day was meeting up with former College students Megan Bache and Esther Hurst. Both students left the College last summer after achieving all A and A* grades in their A levels. Both are in their first year at Cambridge, studying Modern Languages at Churchill College. They were able to answer our current students’ questions and tell them all about their experience at Cambridge. Another enjoyable part of the day was lunch in a Cambridge college (Kings, Claire, Selwyn or St. John’s Colleges).